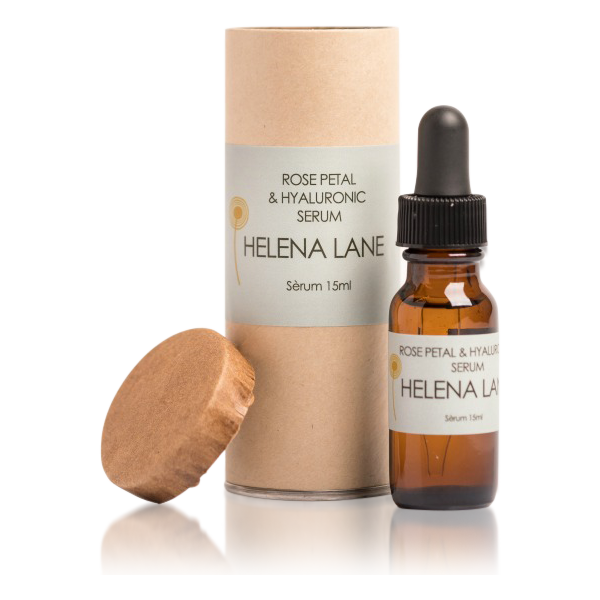 This ultra-lightweight water based serum containing hydrating hyaluronic acid and delicate rose gives the skin a mega moisture boost. Layer under your moisturizer or oil serum to soothe and firm the skin immediately. This serum has the wonderfully decadent but delicate smell of real roses. I LOVE this! I love it! During the winter nothing helps my skin from feeling dry and tight. Applying it immediately gives relieve and my skin looks bright and hydrated after. It is so nice, but expensive considering it to be a small amount. Thank you for the review, I’m so pleased you enjoy this serum. When I set the retail price of a product it is a fine balance of a fair price for the customer and a fair profit for the company. All my products are made with the highest quality ingredients, all made my hand in small batches to ensure fantastic quality and maximum effectiveness. There are very few products that compare to this hyaluronic serum in quality and cleanliness of ingredients, with the nearest comparison costing over $50 for the same size. I hope this goes some way to explaining the price. Thank you again for your support! Love the extra hydration boost from this product and I use it after flower water and either apply before facial oil or mix with facial oil to apply. Only one drop needed for entire face! This might be my favourite product so far, I love how it feels on my face. I love this serum! My skin feels clear and taught afterwards. The only problem is, is that I go through it too quickly! 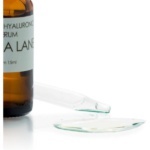 The smell of this serum is so fresh, I can’t wait to apply it each day! I’ve had dehydrated skin most of my life and have tried all kinds of products to help, most of them have had retinols or other such active ingredients and have just made it worse. My husband actually asked me the other day, what I was doing differently that was making my skin glow. Win! This serum has a wonderful, delicate smell and my skin feels very soft and hydrated afterwards. One drop is all you need!